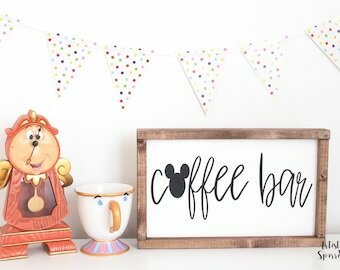 ○ All signs are hand painted and comes ready to hang with a saw tooth hanger on the back. 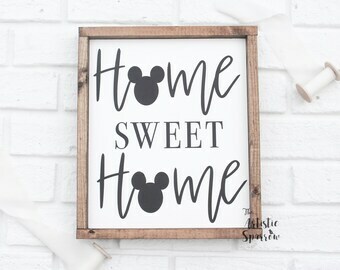 ○ All our signs are made with Pine and MDF wood ; we hand select the wood to make sure its perfect but we do embrace all the imperfections such as knots, chips, and cracks. ○No two signs are the same; the wood grain will vary from sign to sign. Each piece of wood takes the stain and paint differently. 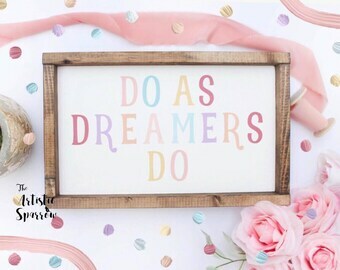 This makes your sign one of a kind and beautifully unique. ○ All our signs are made to order and will be shipped out within 2-3 weeks. We work hard to get your item out sooner if possible. ○ Please note that we try our best to photograph accurately, every monitor is different and will display color differently. Keep this in mind when you receive your order. ○ We package all of our signs in a strong corrugated cardboard box. It will be well packaged with bubble wrap, to ensure its protected in transit. ○ Use a dry lint free cloth to wipe your sign. Don’t use any harsh chemicals as it can damage the wood and the paint. ○ At The Artistic Sparrow we strive to make our customers 100% satisfied with their purchase. If there is a question or problem with your order please contact us and we will work with you to correct the problem as quick as possible. ○ If you have any questions or concerns don't hesitate to contact us. Beware Of Doggie Kisses Wood Sign. Dog Lover Gift. Rustic Wall Decor. 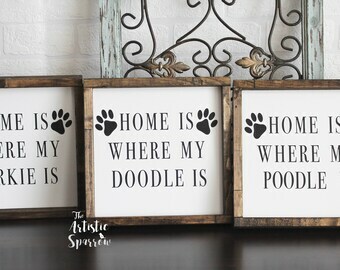 Dog Signs. 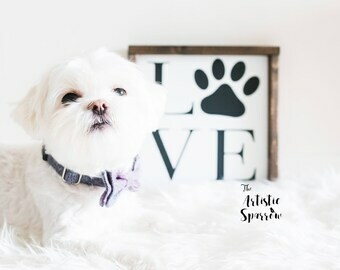 Dog Wall Decor, Wood Sign. This took almost exactly a month to arrive but it’s adorable. I love it! ○ Shipping times will vary depending on the destination. Once the package leaves our hands we are not responsible for any delays from the postal service, misdelivered packages, or damages in transit. ○If your package comes damaged please email us within 48 hours upon arrival with pictures. ○ Always make sure that your address is correct, if not contact us right away. Once your order ships, we are not responsible to replace or refund if shipped to the wrong address. Use a dry lint free cloth to wipe your sign. Don’t use any harsh chemicals as it can damage the wood and the paint. At The Artistic Sparrow we strive to make our customers 100% satisfied with their purchase. If there is a question or problem with your order please contact us and we will work with you to correct the problem as quick as possible. Our turnaround time is 2-3 weeks. We work hard to get your item out sooner if possible. A scheduled ship date for your order can be found on your invoice/receipt under "purchases and reviews" via your phone and or computer browser. 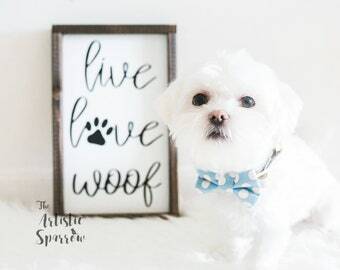 Love Paw Print Wood Sign// Dog Lover Gift. 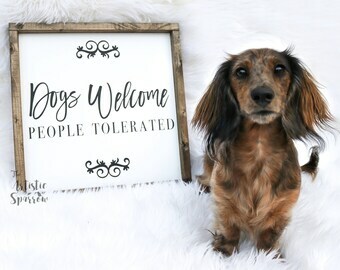 Pet Signs. Gift for Her. Dog Decor. Dog Wall Art. Gift. Dog Art. 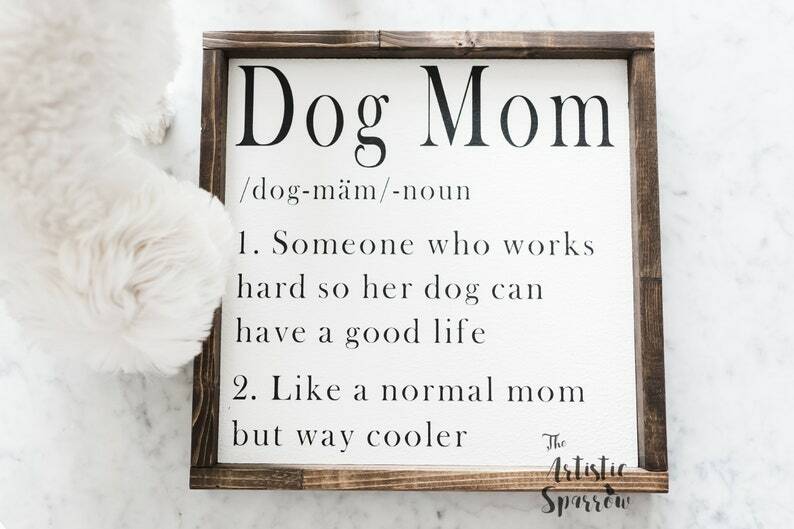 Dog Quotes. Home Decor.